The H2020 project PowerStep has been demonstrating at full-scale lab-tested innovations for energy-positive wastewater treatment, to kick-start their market deployment. Decreasing energy consumption and raising energy production at the same time, PowerStep converts wastewater treatment plants into real power producers. 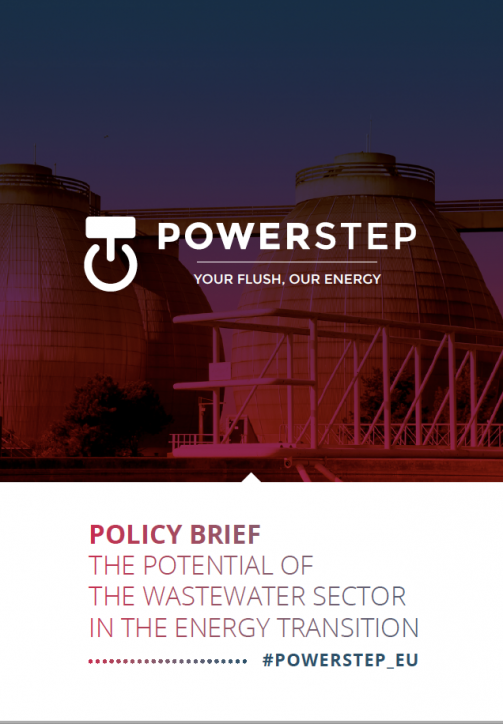 A new policy brief published by the project shows how turning wastewater treatment plants into efficient renewable energy generators is a good fit with the current goals of strengthening the European economy and its energy system. #01 Recognise biogas from sewage as a renewable energy with a lower environmental footprint than other forms of biogas and biofuels. #02 Prioritise renewable energy from sewage for public support. #03 Extend green public procurement (GPP) criteria for wastewater treatment plants so that they promote energy neutral or energy positive plants as well as energy efficiency. #04 Grant access to cohesion/structural funds contingent on energy efficiency investments, including in wastewater treatment plants. #05 Make public subsidies for energy production at wastewater treatment plants contingent on the application of energy management systems. #06 Define power-to-gas (P2G) as a form of energy storage. Read here the full text of the policy brief.